We have been experiencing a serious drought here in Western North Carolina, as well as in other areas across the country too and I was afraid that the fall season would not be as colorful this year. Though the drought may have diminshed the colors of autumn somewhat, there is still a beauty to be beheld in these mountains. 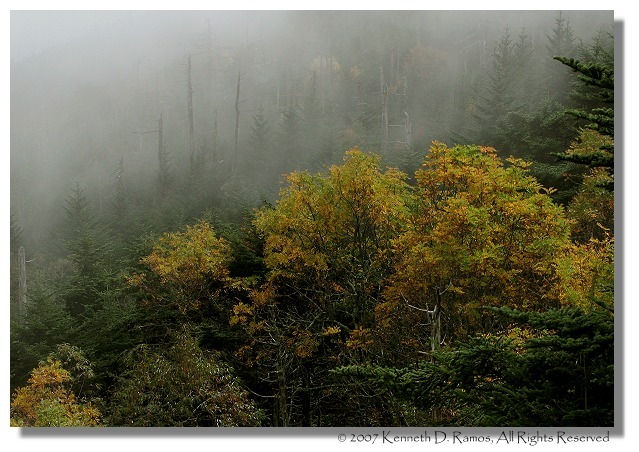 In the high altitudes our most notable spot, Mount Mitchell, is already beginning to cloth itself in the colors of autumn and with misty days wherein it is cloaked in or with the clouds, making it ideal for those mood shots if one enjoys doing such types of photography. Dropping from over a mile high down to a mere couple of thousand feet we have Boone Fork, a small trout stream located at Julian Price Memorial Park picnic grounds near Boone, N.C. This area provides one with a 4.9 mile hiking loop which skirts the Boone Fork for a couple of miles before the trail moves one off to the left and away from the stream, depending on which end of the loop you begin with, of course. 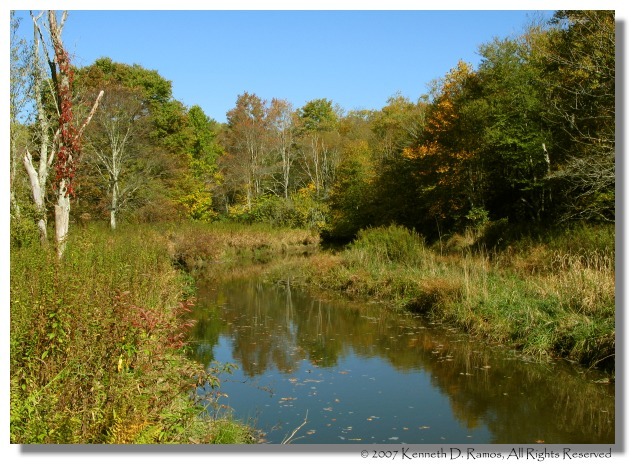 One thing that you would notice though when hiking the Boone Fork, is the presence of "beaver dams." Though not shown in the above image, beaver dams are an essential part of the wetland ecosystem and I fear that the most recent one will be torn down due to the flooding of the trail further down stream from where this, the above photograph, was taken and not only was the trail flooded but there was a magnificent "beaver pond" to be seen also. My fourth and final image for this post is that of Grandfathers Mountain, it also is a shade over a mile up but not as high as Mitchell. Here on such a day as this, it is nice to hike the trails and climb to the lofty hight of Mc Crae peak, just slightly over 6,000 ft. if I am not mistaken. Grandfathers Mountain hosts a biosphere where one can see and become familar with some of the mountain wildlife to be found here in North Carolina, though there are also some areas here in which the Nature Conservancy has taken over and has closed due to the presence of endangered plant and animal life. beautiful country i love the second image. i could sit there all day long. awsome, i really like your first photograph, the mist in the back adds a great mood to your photograph. Thanks guys, I do a lot of sitting around that place. It is one of my favorite spots for a nice long hike, Boone Fork that is. Grandfather has an admission fee of about $15.00US I think. I have not be up there in a long time. Poor old beavers do what they do, and men get angry at them when their flooding makes trouble for us! Interesting series of photographs. Glad you're getting some color out of the fall, despite the drought. Thanks Mike I have recently been doing a bit of reading up on the Black Mountain Range, where Mitchell is located. It was said that during the late Pleistocene days, these rodents, beavers, that lived in the mountains near the streams, weighed in at just a little over 350 lbs.! About the size of a small bear. 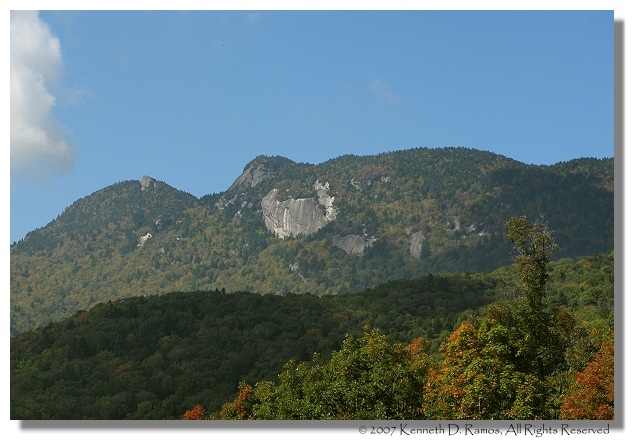 The Blacks, as they are called, were the first and highest mountains to form in the Appalachian Range, they form a "fishhook" off of the main part of the range. Actually the area where I live now, some 200 million years ago, was nothing but tundra and the ice of the gigantic glacier, extended as far south as the lower portion of Pennsylvaina. 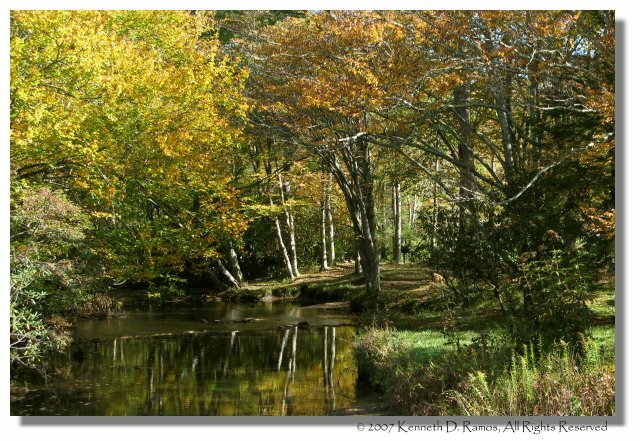 These are beautiful shots of a beautiful part of the country Ken. I cannot imagine a beaver of 350Lbs...thats what movies are made of. LOL!! I am pleased to learn something about the history of the area. Thanks for sharing. Beautiful images Ken. Fall color is not happening in my neck of the woods, but what is worse, my favorite hang - Bombay Hook, a national wildlife refuge is in a big hurt. Two of the three ponds are dried up and the third is very low on water. The birds are not migrating to that area now and Prime Hook is in the same situation. I am not sure what is going on, but I am seeing insects and birds that I usually do not see in this area. Two of the three ponds are dried up and the third is very low on water. I thought you folks were getting ample rainfall up that away, is that the cause of them drying up, no rain or not enough? I am seeing insects and birds that I usually do not see in this area. I still think our planets warming trend is the cause of such things, as I have referenced before from articles I have read on global warming. As our atmosphere warms, insects, birds, and animals that usually migrate south this time of year may be slow in doing so or maybe even not at all. It has already been noted that plants and animals not normally found in areas far north of their normal habitats, are now beginning to appear farther north due to the warming. No rain. If your weather man is telling you we are getting rain, he is mistaken. global warming....I think it is the natural rotation of the earth. Magnetic north has moved a bit and global warming did not cause that. In the past few years I have noticed that winter takes a couple more months coming, but spring takes a couple of more months to arrive as well. It is almost a shift, soon the Aussies will be standing on their feet and we will be upside down. You know it seems as though I read an article many years ago about the earths crust beginning a shift around the molten core of the planet. I am not very familiar with such things, though I do find them interesting and always listen or read up about such things when I happen come across them. So, I don't know about a magnetic variance being the cause of anything at present. Hey, I'm still trying to figure out some of the features on my new G7 yet and I am reading the manual for once in so doing.